Padma Maitland and Wim de Witt: "Showing is Knowing: The Curator as Designer & Scholar"
Wim de Witt was head of the Architecture and Contemporary Art Department at the Getty Research Institute in Los Angeles from 1993 through 2013. He co-curated the Pacific Standard Time initiative on modern architecture in Los Angeles (2013) and curated exhibitions, including Shaping the Great City: Modern Architecture in Central Europe, 1890-1937, and Overdrive: L.A. Constructs the Future, 1940-1990. From 2013 through 2018, de Witt was curator of architecture and design at Stanford University’s Cantor Arts Center, where he curated Creativity on the Line: Design for the Corporate World, 1950-1975. Padma Maitland is the Patrick J.J. Maveety Assistant Curator of Asian Art at the Cantor Arts Center at Stanford University. His doctoral degree from UC Berkeley examines transnational Buddhist pilgrimage networks and their impact on modern architecture, art and literature. During his studies in Wurster Hall, Maitland co-founded Room One Thousand, an architecture journal run by the students and alumni of the Department of Architecture. View event page. Yanbo Li "Surfing in Globalization: Misplaced Urban Reaction and Community-Based Resilience in Shanghai"
Yanbo Li presented on China's urbanization in the context of globalization. 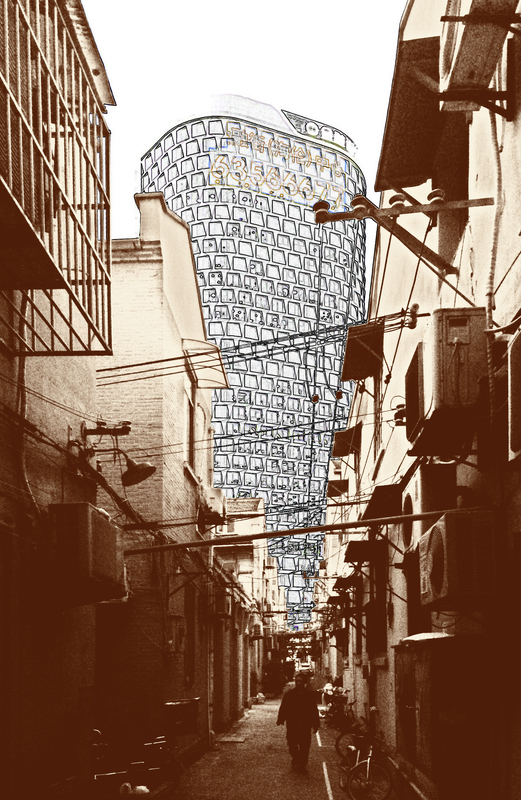 He will review the ways that change, even in megacities like Shanghai depend on both neighborhood and global factors. Yanbo Li is a visiting scholar from Tongji University where he is Associate Professor in the College of Architecture and Urban Planning. He is also director of the Prime Smart Community Promotion Center of Shanghai. View event page. 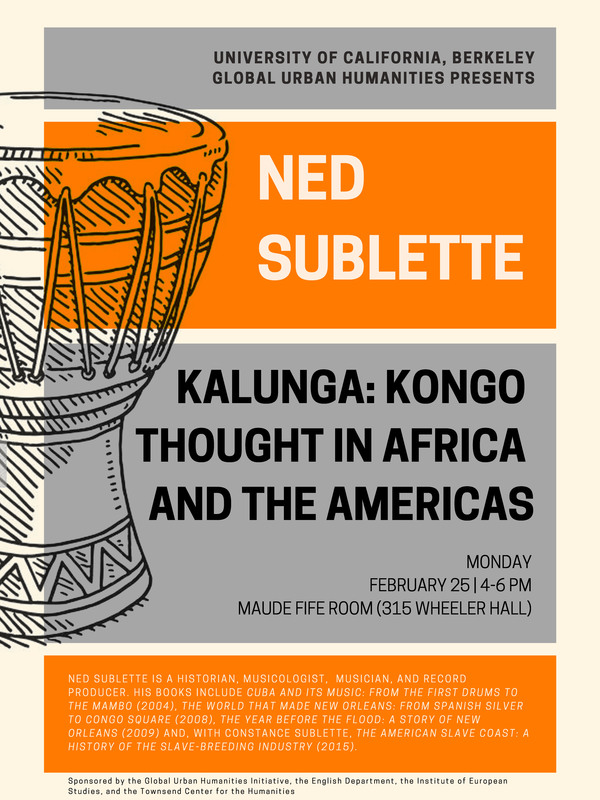 NED SUBLETTE “KALUNGA: KONGO THOUGHT IN AFRICA AND THE AMERICAS"
Ned Sublette is a historian, musicologist, rumba producer, a long-time correspondent for the public radio program Afropop Worldwide, the author of four books, and now a music travel producer. He has had extensive field experience with music throughout the African diaspora, and especially in Cuba. His books all deal, in one way or another, with the world of the Kongo and its connection with Catholicism, which began in 1491 when the manikongo (Kongo king) enthusiastically accepted baptism. This much-discussed syncretism was brought from Africa to locations up and down the eastern coasts of the Americas, playing a crucial role in American histories over and over again. Sublette will analyze and compare musical traditions in Cuba, Haiti, Puerto Rico, and Angola. View event page. On the eve of entering office, four female politicians are an emboldened, new generation of feminist officials at the forefront of defending and redefining democracy in Brazil. Building their trajectories out of local grassroots struggles, each has developed distinct approaches in their respective states. Ten months following the assassination of city councilwoman Marielle Franco, their collective work demonstrates that Marielle is still present. 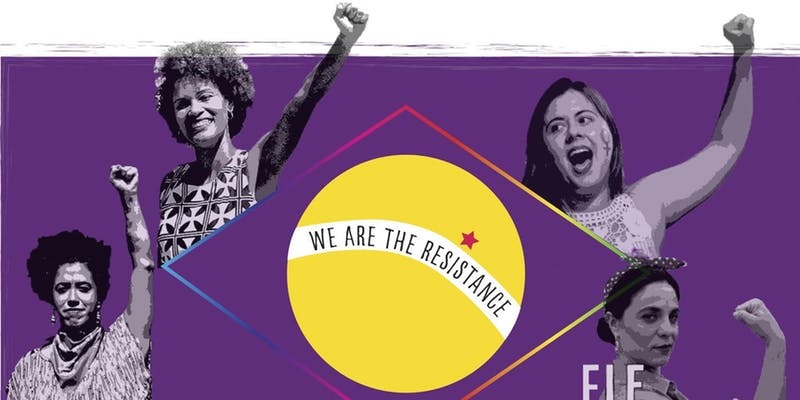 They will discuss feminism, formal politics, and innovative modes of resistance to the radical right turn in government. We will consider ways we can take action in solidarity. View event page. 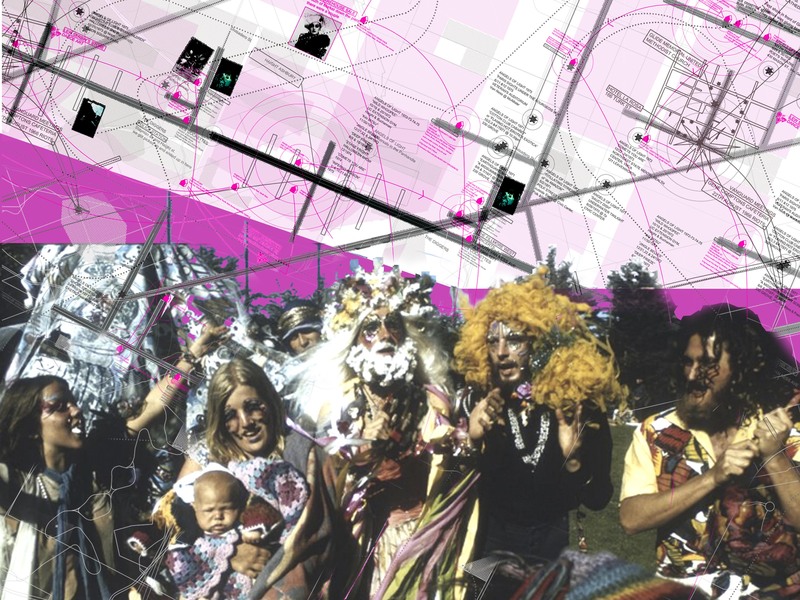 Natalia Matesanz Ventura "MAPPING AFFECDENCE: URBAN COUNTER-DRAG IN SAN FRANCISCO, 1966-75"
In the late ‘60s and early ‘70s, San Francisco’s counterculture devised underground, self-organized do-it-yourself (DIY) urban networks of communal survival. The Angels of Light, an acid-drag commune of free-theatre performers, transformed buildings, recycled urban waste for props, and performed in the streets, often on the hallucinogenic drug LSD. Their radical androgyny, sexual freedom, and inclusivity infused public performances that appropriated the urban environment in radical confrontation with the status quo. View event page. Overview of Undergraduate Certificate program and application process. View event page. Overview of Graduate Certificate program and application process. View event page.